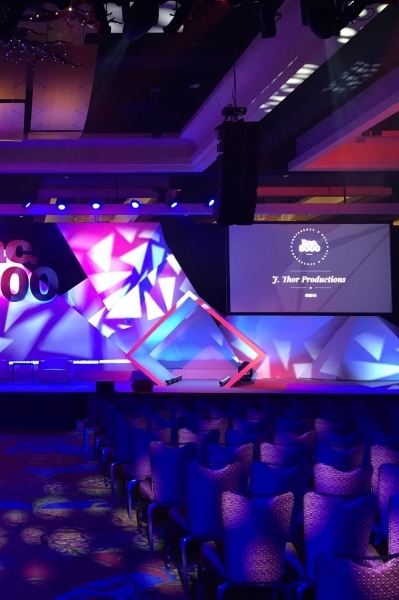 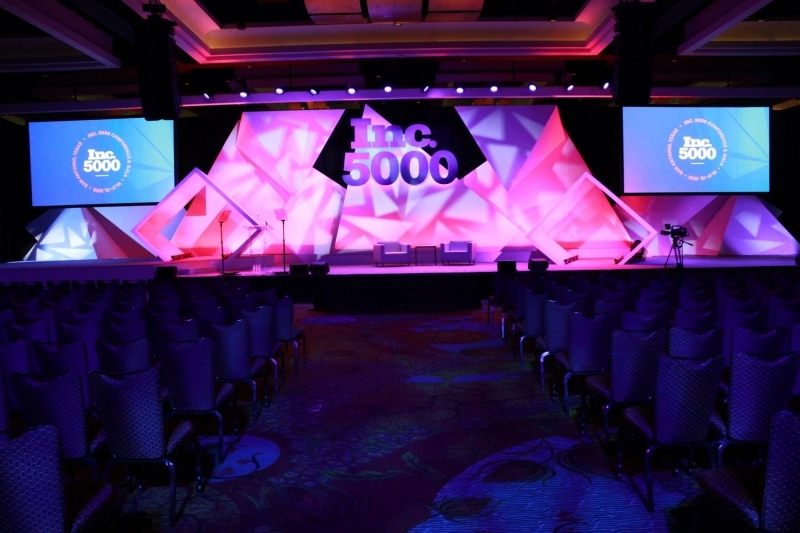 For the second year running, Florida-based live event production company, J. Thor Productions, was called on to light the black-tie awards ceremony at the Inc. 5000 Conference & Gala. 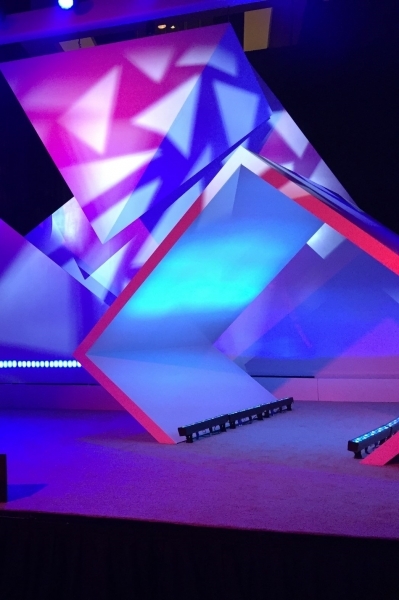 Used to paint and texture a set dominated by geometric shapes was Elation’s new Artiste Picasso™ LED moving head as part of a larger Elation lighting package. 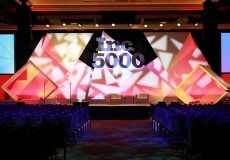 Each year, Inc. Magazine publishes its list of the 5000 fastest-growing publicly held small companies in the U.S. 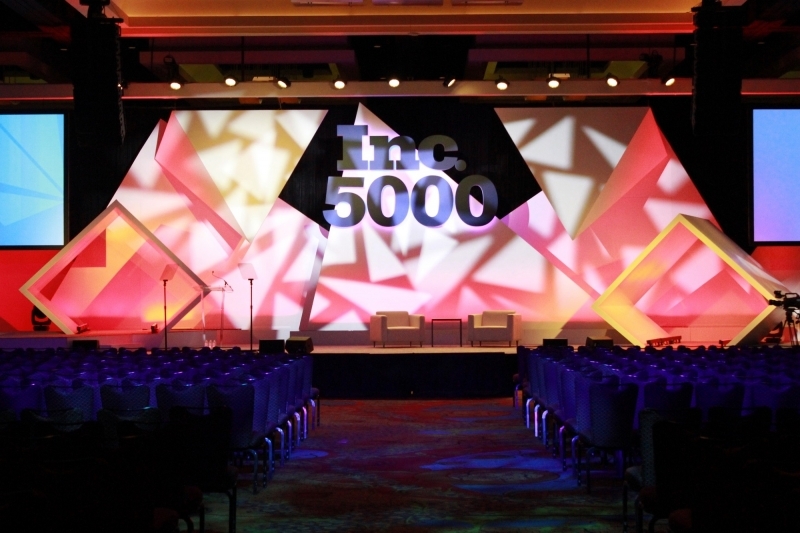 This year’s gala, held October 17-19 at the JW Marriott San Antonio Hill Country Resort in Texas, brought together some of the nation's most successful business minds to celebrate the companies that appear on the prestigious ranking. 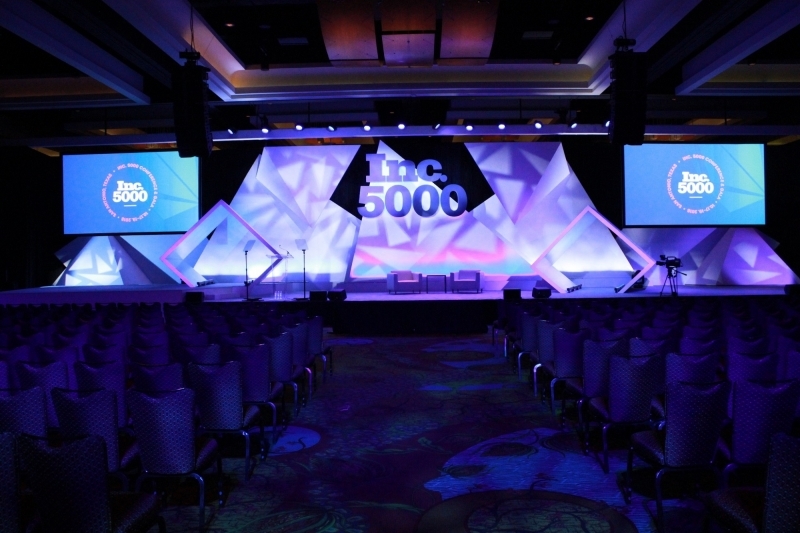 J. Thor Productions turned to its newly purchased Artiste Picasso fixtures to light the 11th Anniversary event.